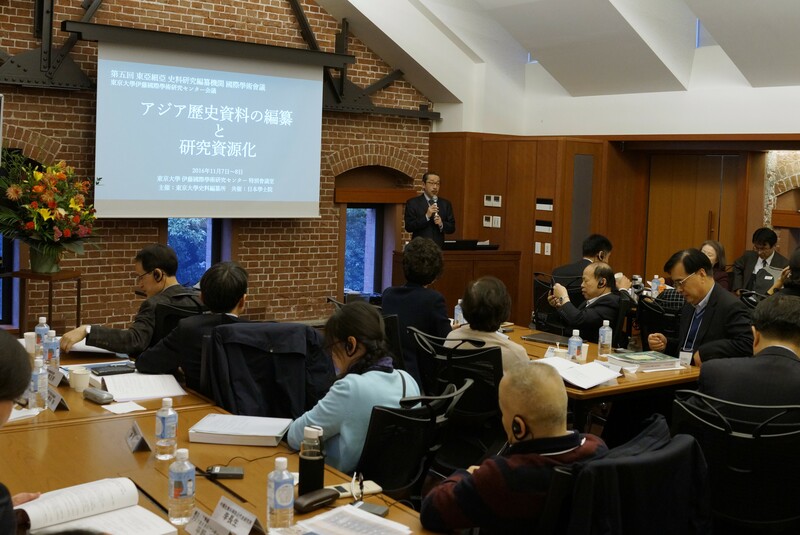 The Historiographical Institute's mission is to conduct research on, compile, and publish primary source materials dealing with Japanese history. The foundations of all historical understanding lie in the preservation and precise reading of primary source materials. Because it is a basic principle of the Institute that source materials should be preserved where they are found, research staff spend several weeks each year investigating and examining historical records wherever they are kept, both in Japan and abroad. Staff have over 100 years' experience conducting these examinations, and their journeys have taken them all over Japan as well as to many different parts of the globe. When possible, documents are reproduced by several different means, such as microfilm, calligraphic reproduction, and photography. Over the decades, the Institute has thus accumulated an unparalleled collection of duplicate documents as well as tens of thousands of originals. In some instances, documents are lent to the Institute for further analysis, or for repair when damaged by water, insects, or the passage of time. Institute staff carefully catalog and index all source materials and list their findings in a variety of reference works. Specialized searches can be conducted based on individual research themes to facilitate advanced source criticism. Along with assisting scholars by providing document catalog and index information, staff at the Historiographical Institute are also eager to share the findings of their own research. 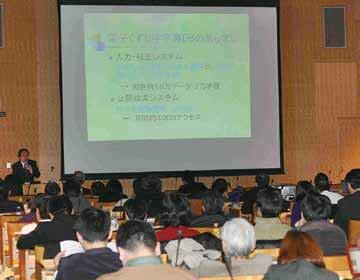 They teach, both in the Graduate School of Humanities and Sociology at the University of Tokyo, and at other universities, and are active research scholars in their own right, participating in scholarly symposia, and publishing their research both in traditional print formats, and in digital formats via computers and the Internet. The Institute strives to make historical materials readily accessible to researchers in ways that they can easily use. Consequently, the Institute divides its compilation and publication work into two broad sections. First, we compile chronologically organized document collections which incorporate materials from many different sources in the order in which events occurred. Principally, these include the Dai Nihon Shiryō series and the chronological sub-series of Dai Nihon Ishin Shiryō. Second, we publish compilations organized around specific archives. These include three series: Dai Nihon Komonjo, Dai Nihon Kokiroku, and Dai Nihon Kinsei Shiryō. To make these compilations widely available, the Institute has been publishing since 1901. Currently it produces over ten volumes each year, and the total number of Institute publications is over one thousand. To refine the research process and promote the availability of Institute materials and findings, our staff are constantly trying new approaches and cooperative projects. It is essential that the Institute continue to accumulate copies of historical source materials from all over Japan and around the world in order to realize its mission. As we in the discipline of history expand our vision of what constitutes a "historical source," the Institute has kept pace by continually adapting and refining its notion of the types of documents to be collected, and the ways in which they are analyzed. Every year, we undertake new research projects to focus on previously unexplored themes and to employ new methodologies and techniques. Recently many of these research projects have become international in scope. For example, the investigation of documents concerning late Edo-period international relations has grown from earlier studies, which focused exclusively on diplomatic history, and now include military and commercial documents. In addition, researchers have been looking at maps from other parts of the world in order to conduct comparative analysis of Japanese maps from similar periods. In these and other ways, current research projects are moving beyond the goal of document compilation and publication to a broader and more complex understanding of our mission. An area where the Historiographical Institute has been a leader in recent decades is the development of computer applications for the management of historical records and data. Research began in 1984, and quickly progressed to include multiple Internet databases, computerized records and search devices, and worldwide accessibility to certain scanned images of original documents. Computers have become an essential part of Institute research. To ensure that the Institute remains at the forefront of technological applications, staff are active in symposia and meetings to exchange findings with other scholars and computer professionals. The Online Glossary of Japanese Historical Terms and the Online Dictionary of Sources of Classical Japan were established particularly for foreign users by the Japan Memory Project(2000-2004). And, in 2006, on the basis of such achievements, the International Center for the Digitization of Premodern Japanese Sources was established, which aims at new way of scholarly and international approaching to historical materials in cooperation with information science.